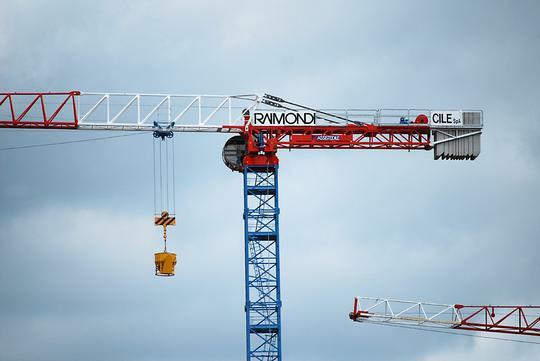 Equipped with a 70 meter jib, the MRT223 is an easily-transported Raimondi flattop tower crane with a maximum capacity of 12 tonnes and a maximum tip load of 1.7 tonnes. 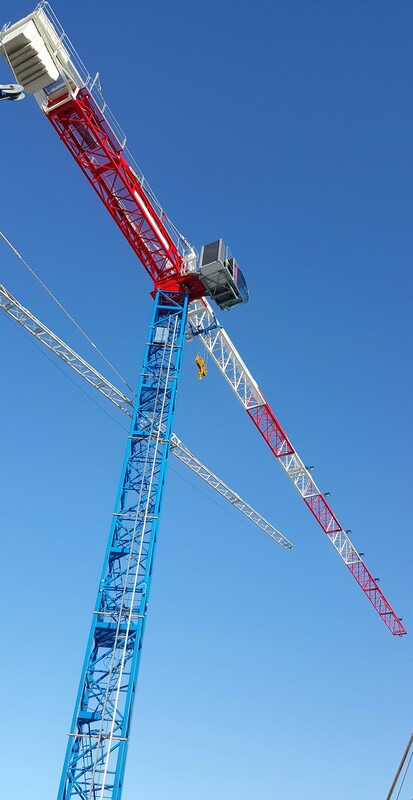 The crane’s specifications include eight different jib length configurations – ranging from 70 meters to 33 meters – paired with four different hoist winches available at different load capacities and powers ranging from 60hp (45kW) to 100hp (75kW). 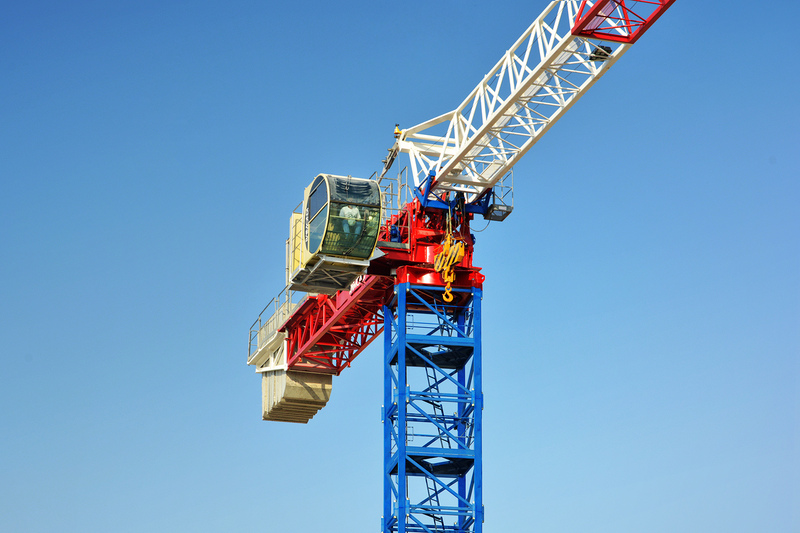 The MRT223 may be installed on a plith or on a fixed/travelling cross base, and has been made available in two versatile models: the city version with a 1.7 meter mast section and a maximum freestanding height of 43.6 meters, and the climbing version with a 2.1 meter mast section and a maximum freestanding height of 61 meters. 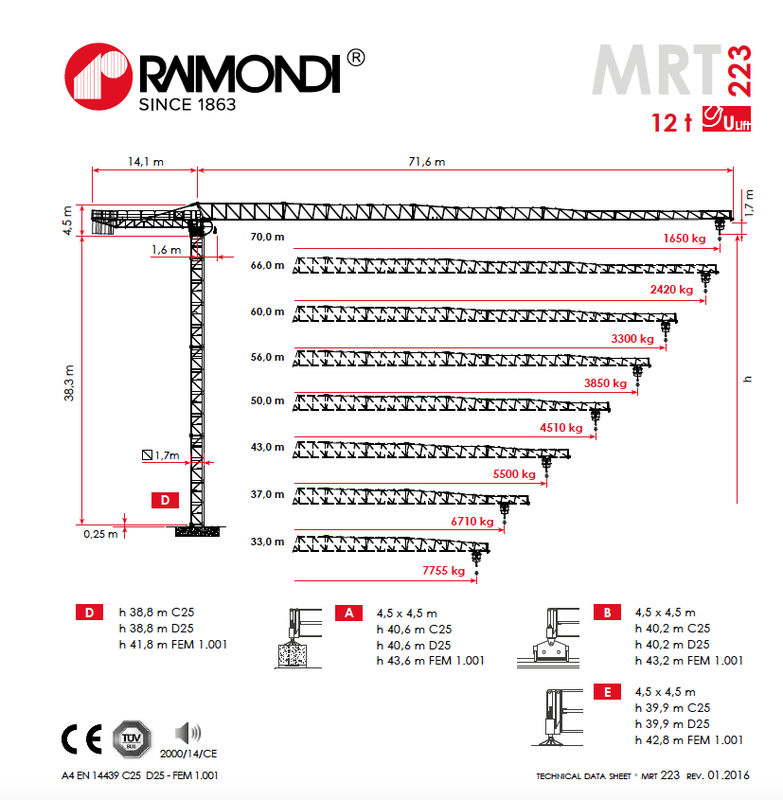 The extreme flexibility of the MRT223 allows it to meets the needs of a wide variety of customers. 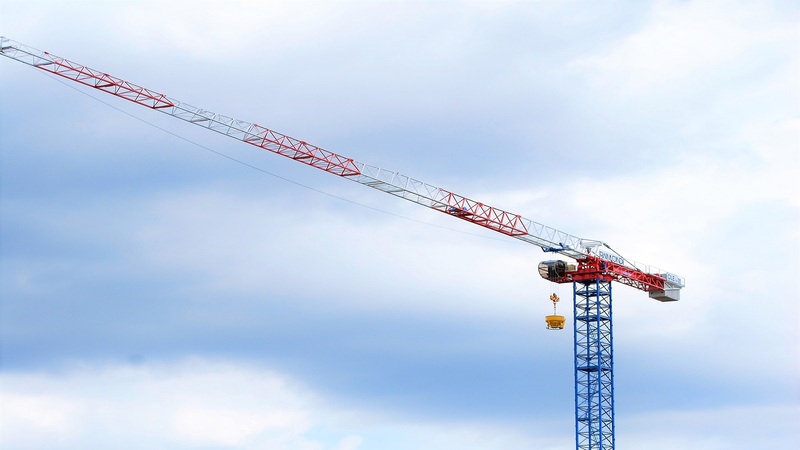 The MRT223 is well-purposed for both tall buildings, at more than 220 meters in height, as well as residential or commercial buildings at average heights of approximately 35 meters or less.